The confluence of minimally invasive surgery, integrated operating rooms, and telerobotic surgery promises substantial advances for all types of surgery in the 21st century. Laparoscopic approaches to minimally invasive surgery have won dramatic gains for patients in terms of short-term outcomes. Integrated laparoscopic operating rooms insert teleconferencing capabilities into surgical suites and offer easy access to telementoring for inexperienced surgeons during the steep learning curves of many advanced minimally invasive surgical procedures. 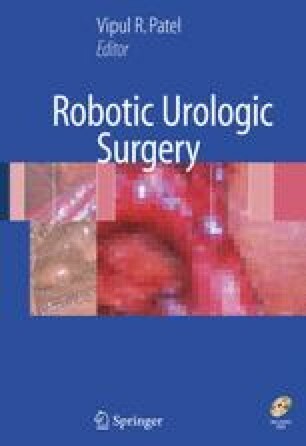 The rapid evolution of robot-assisted surgery into telerobotic surgery provides technologic solutions to many of the inherent limitations of laparoscopic surgery. Moreover, the surgeon’s console of telerobotic surgical systems provides a platform for integration in novel formats of the varied forms of digital information currently generated for surgical patients.